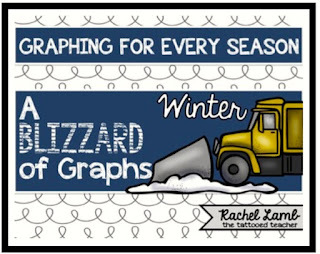 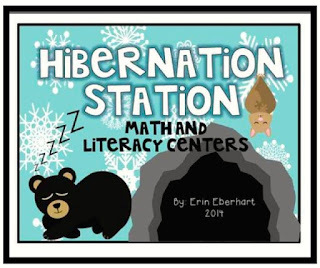 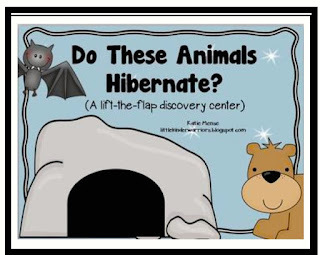 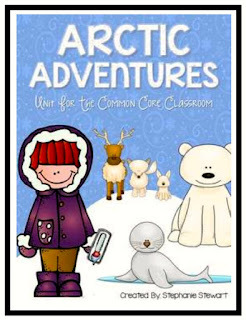 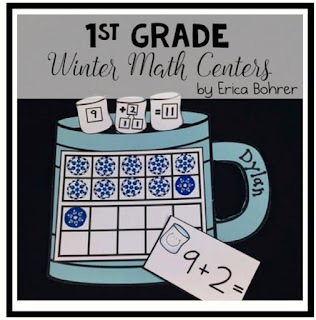 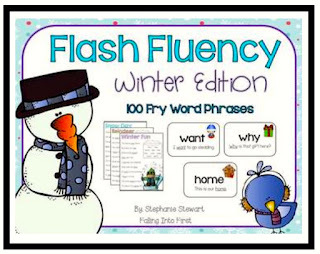 Blog Hoppin': An Avalanche of Winter Resources! 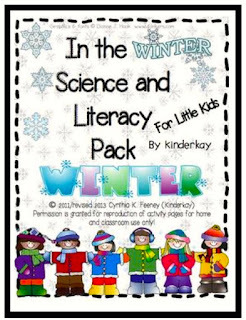 This is Cindy from Kinderkay Love Those Kinders. 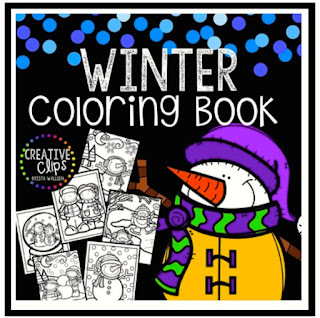 I LOVE winter projects! 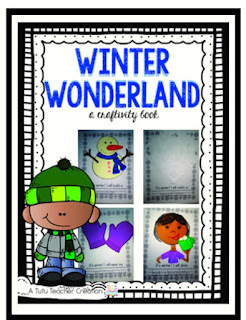 I do not especially love WINTER, but I do love the sparkly projects that can be made during this season. 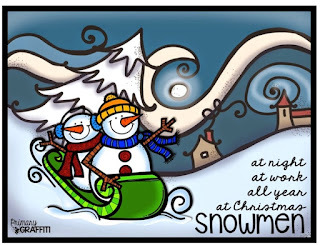 There is something magical about snowflakes and snow globes and snowmen. 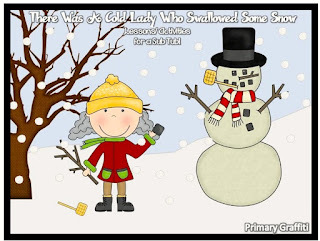 So........ 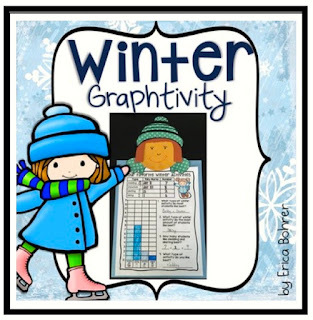 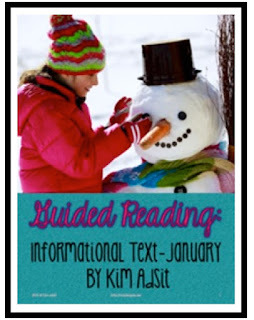 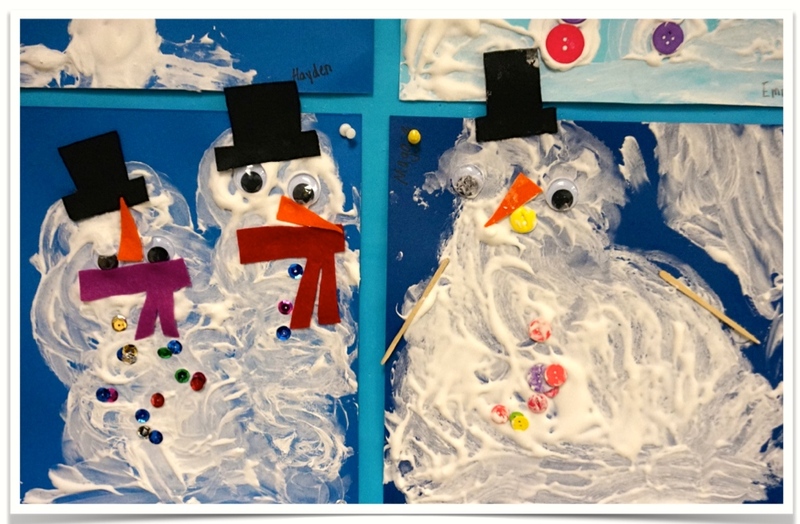 I thought that I would share some fun art projects with you that can ALWAYS be tied to a learning standard (smile) and end with some wonderful winter resources from Blog Hoppin authors. This first project is based on the picture book "Snowmen All Year" by Caralyn Buehner. We read the story and then discuss how fun it would be for a snowman to be around all year. 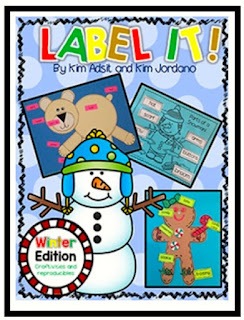 We talk a lot about seasons in kindergarten, so this book is a great review for the changes in seasons throughout the year. 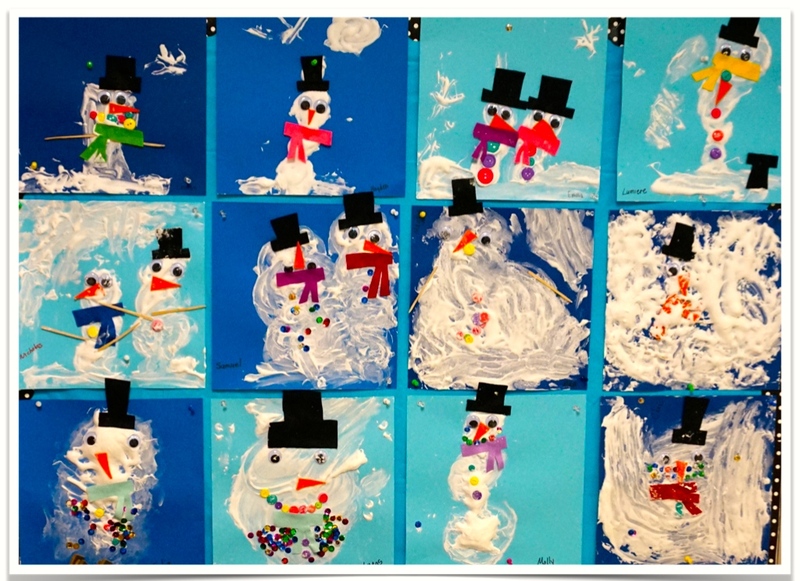 After our discussion, I divide the kids into small groups and they paint snowmen murals onto colored craft paper. 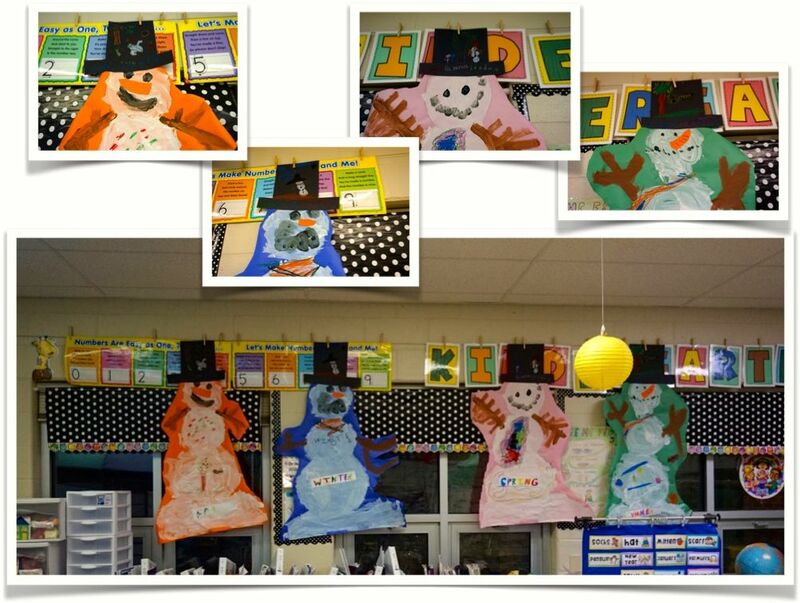 I use seasonal colors for the snowmen i.e. blue for winter, pink for spring, green for summer, and orange for fall. 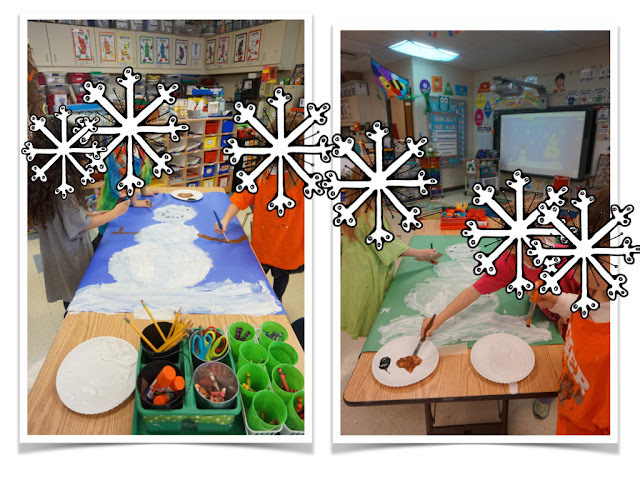 They only paint the snowman, snow, face, and arms. 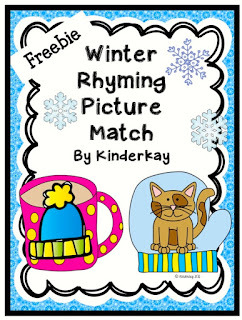 The other details are added later. 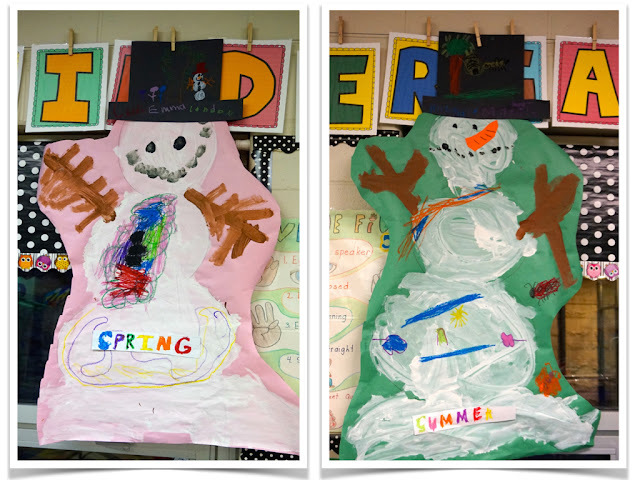 When they are dry, they label their snowmen and add seasonal details. They are adorable hanging in my classroom AND my kiddos are given the opportunity to review seasonal concepts. 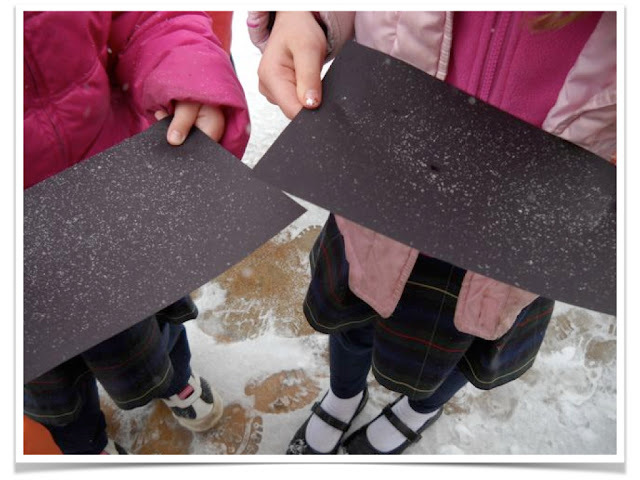 Another fun snow project to do (if you are lucky enough to have snow) is to take your students outside with a piece of black construction paper. 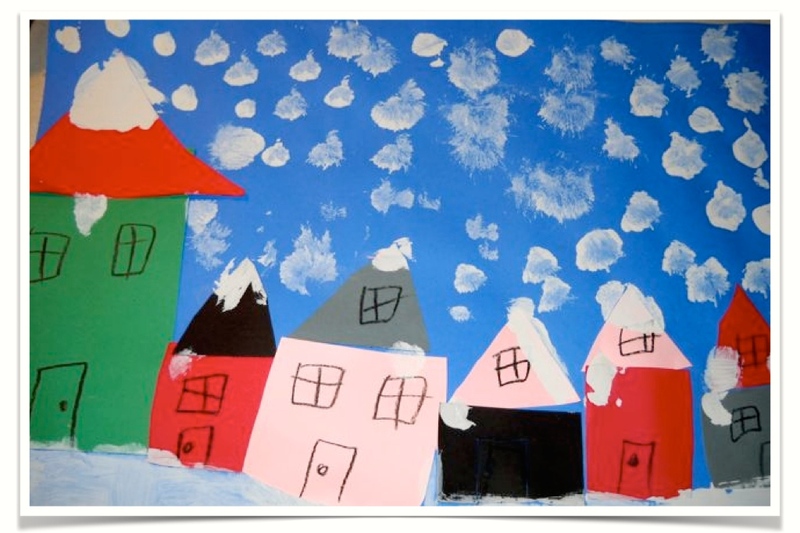 As the snow is falling, children catch snowflakes on their paper. 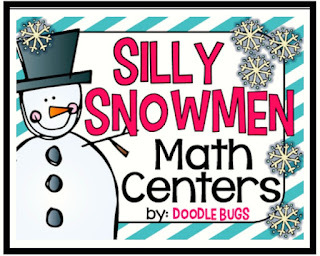 The shapes of the snowflakes actually show up on the paper! While outside, we use our senses to smell, hear, see, taste, and touch the snow. 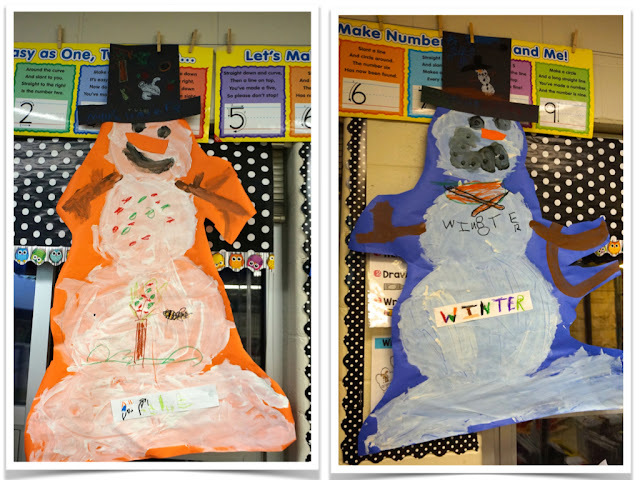 When we return to the classroom, the children do this "Snowy Day" project. 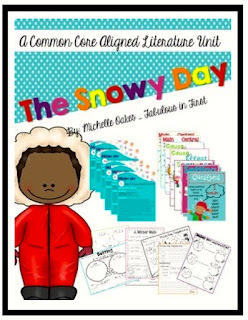 (If you don't have snow, read "The Jacket I Wear in the Snow" by Shirley Neitzel or "The Snowy Day" by Ezra Jack Keats. ) 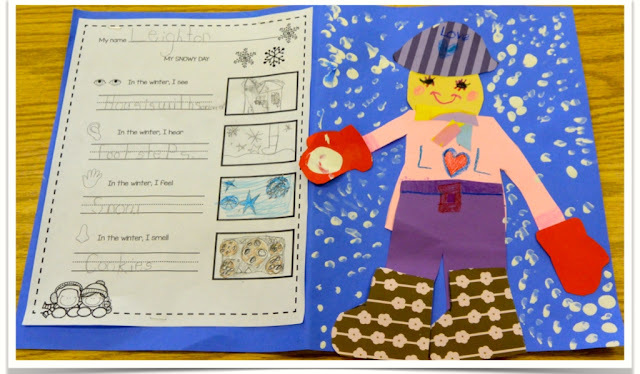 When the project is finished, children write about their experience. 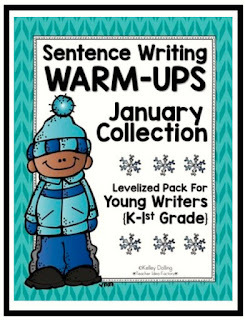 Click HERE to download the google doc for the writing paper. 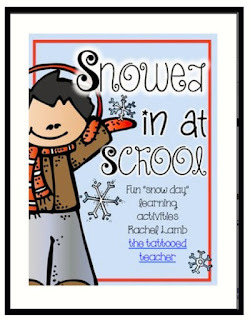 Here is another way to create the snowy day person..... 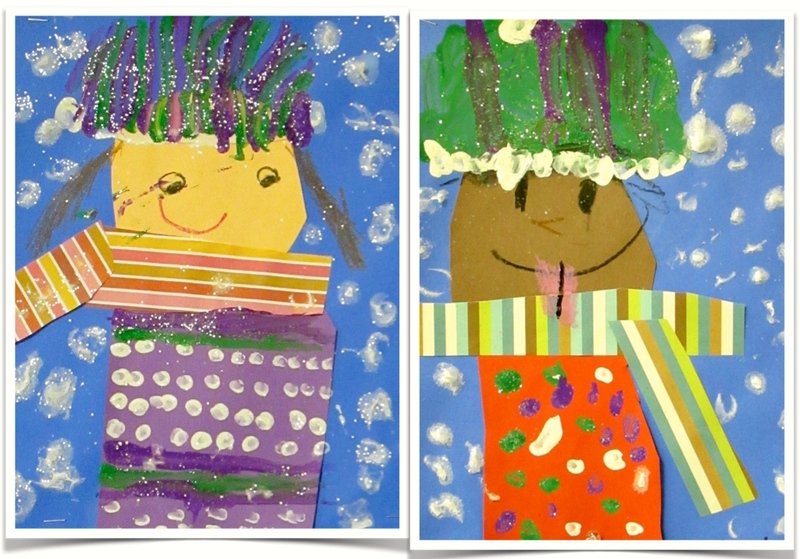 This is mixed media - construction paper, scrapbook paper, paint, glitter (or fake snow), and crayons. 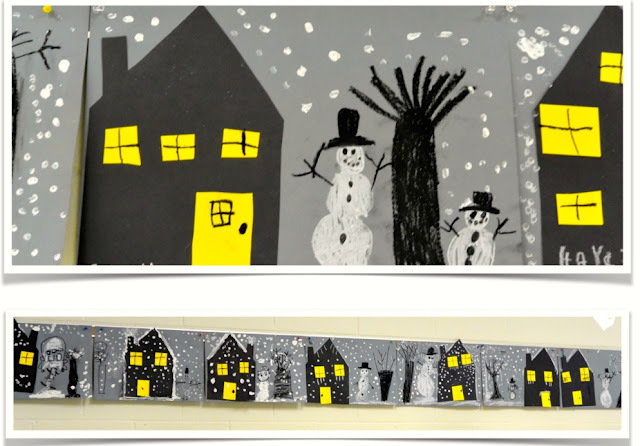 We did these snowy neighborhood projects. We talked about different kinds of neighborhoods and what houses might look like in the daytime and in the night time. This is also a nice follow up project to "The Snowy Day" by Ezra Jack Keats. 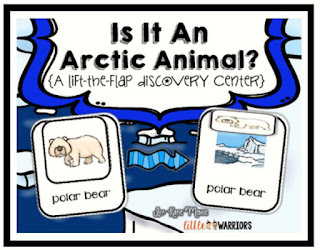 I know that you have seen several variations of this final project. 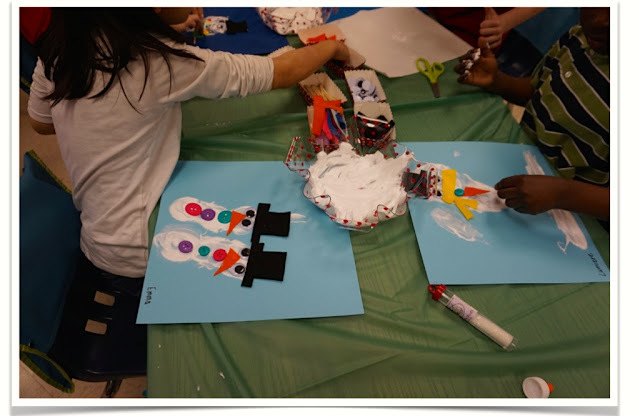 Shaving cream mixed with white glue is just the greatest multi-sensory experience! 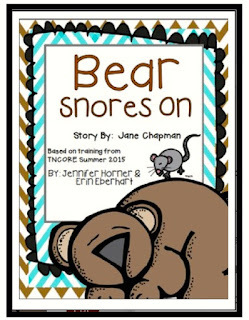 I LOVE everything about it; from the smell to the beauty of the final project... Here you can see my students creating their snowmen upon 12" x 12" scrapbook paper. 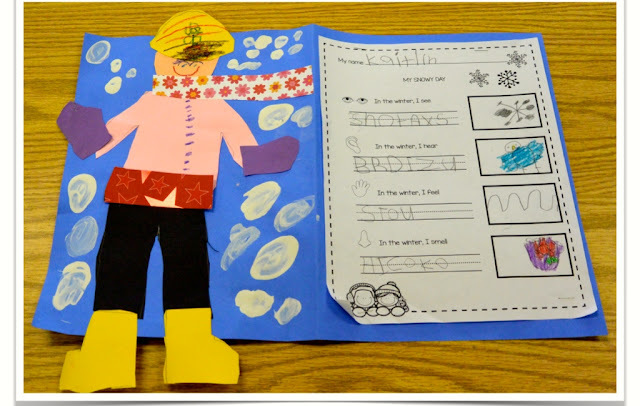 They added their details directly upon their snowman. 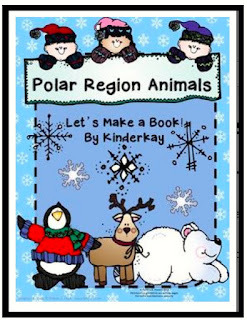 Cute and "wintry!" 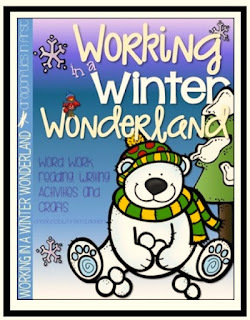 Finally, my friends..... You will find some AWESOME Winter resources from Blog Hoppin authors by clicking the images below. 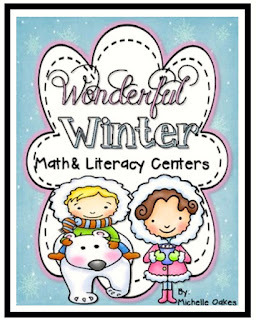 It will take you directly to their TPT store or blog. 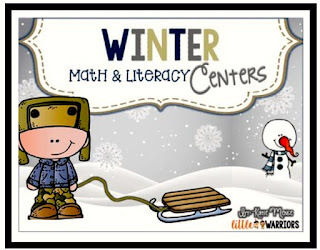 All the resources you need for winter in one place!